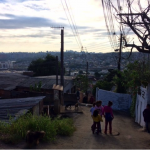 As Professor Sandra Jovchelovitch prepares to travel to Quito to participate in Habitat III, current and former postgraduate students reflect on their experience of travelling to Brazil to observe first-hand how socio-cultural psychologists research and work in complex urban environments. 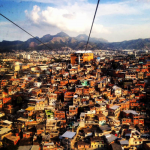 ‘Resilience and Porosity of City Borders: A psychosocial investigation in three Brazilian cities’ is an international interdisciplinary collaboration project studying the relationship between the porosity of internal city borders, self esteem and resilience. The project aims to examine the role of bottom up development initiatives in building resilience and enhancing the flexibility of city borders in segregated neighbourhoods, or favelas, and underground socialibilities in Porto Alegre, Sao Paolo and Rio de Janeiro. Principal investigators on the project Professor Sandra Jovchelovitch and LSE PhD graduate Dr Jacqueline Priego (currently Research Fellow in Bournemouth University), and Professor Gareth Jones and Assistant Professor Ryan Centner from the Department of Geography and Environment formed the research team from the LSE. 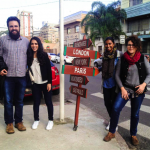 As part of a capacity building initiative, 5 postgraduate students from the Department of Psychological and Behavioural Sciences and the Department of Geography and the Environment also travelled with the research team to Brazil. 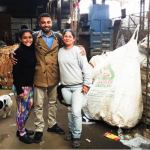 From left to right: Celestin with recycling centre staff in Porto Alegre; View of Complexo do Alemão from cable car; Haani and Geetha on a site visit in the 4th district in Porto Alegre. This research-intensive trip included a workshop in Porto Alegre and a visit to a number of potential field sites in Porto Alegre and Rio. It was a rare opportunity for postgraduate students to engage with senior faculty on an international research project and gave the students first-hand experience of research-led teaching, where learning could happen in the field. 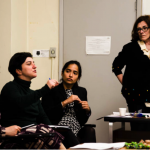 From left to right: Dr Priego conducting a research methods session during the workshop; Santa Rita de Cassia (photo credit – Dr Ryan Centner); Prof Jovchelovitch, Dr Priego, Mara and Maria-Cecilia fielding questions during the workshop. It was an eye-opening experience for the students who are interested in issues of community, social exclusion, representations of inequality and social change, and the opportunity to network, discuss their own research with and learn from Brazilian postgraduate students, academics and social organisations was invaluable. We would also like to take this opportunity to thank our hosts from Porto Alegre, especially Professor Simone Mainieri Paulon and Professor Pedrinho Guareschi from the Institute of Psychology at the Federal University of Rio Grande do Sul, representatives from CUFA and UNESCO who made the field trip a success. Photo credits: Geetha Reddy (unless otherwise specified). Celestine Okoroji is a 1st year doctoral candidate at the Department of Psychological and Behavioural Science at the LSE, supervised by Professor Sandra Jovchelovitch. 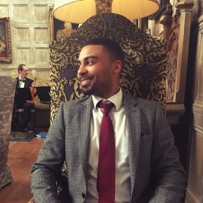 After graduating from Brunel University with a degree in Psychology, Celestin took up a position on the National Graduate Development Programme (NGDP) at Islington Council. The NGDP is a highly competitive 2-year graduate scheme for local government, seeking to fast track new talent into senior management. Whilst at Islington he worked in a number of roles including Corporate Strategy and Policy, Alternative Education provision, Youth Offending and Community Safety. Leaving Islington after 3 years in 2015, Celestin took up an MSc in Social Psychology at the London School of Economics and Political Science, where his MSc research focused on the interplay between unemployment and inequality. Haani Mazari has grown up in Karachi, Istanbul, Dubai, Singapore and London. Her interests lie in identity politics and, in particular, how individuals react to stigmatisation and social exclusion. She has completed her MSc in Social and Cultural Psychology. For her MSc dissertation, she explored Pakistani identity and the exclusion of religious minorities. 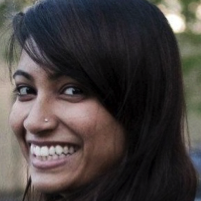 Geetha Reddy is a 4th year doctoral candidate pursuing a PhD in Psychology at the Department of Psychological and Behavioural Science, supervised by Dr Ilka Gleibs. Her research focus is on diversity and multiculturalism, researching ethnic identity constructions and negotiations among individuals in Singapore and Malaysia. Her other research interests include perspective taking among individuals, the socio-cultural determinants of health related behaviour as well as safety culture within public health systems. 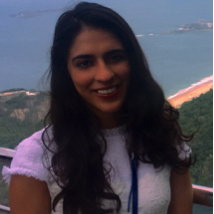 Maria Cecilia Dedios Sanguineti is a 3rd year doctoral candidate pursuing a PhD in Psychology at the Department of Psychological and Behavioural Science at the LSE, supervised by Professor Sandra Jovchelovitch. 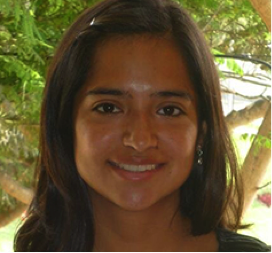 Her doctoral work explores the intersubjective processes fostering resilience among vulnerable youth in two socio-cultural contexts (Colombia and the UK). Her research focuses on psychosocial development during adolescence and young adulthood, and how this process unfolds in different socio-cultural contexts. 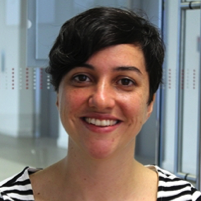 Mara Nogueira is a 4th doctoral candidate in Human Geography and Urban Studies. She is supervised by Dr Hyun Bang Shin in the Geography and Environment Department at LSE. Her doctoral research in about the urban everyday politics of the World Cup in Belo Horizonte/Brazil. The work analyses how different groups affected by the mega-event preparation in the city organize to engage with the State and claim their rights.